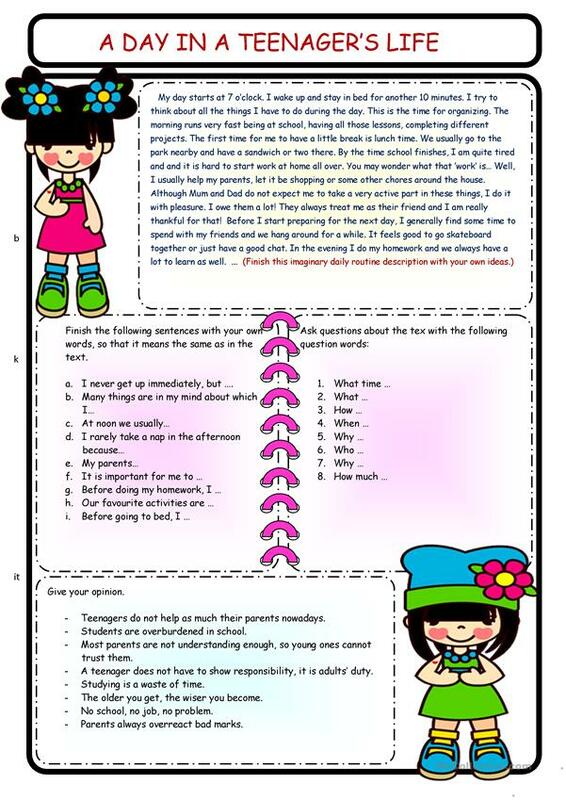 A simple reading a speaking activity forwarding a deeper conversation between teacher and pupils. Hope you find it useful! Have a nice weekend! The above downloadable worksheet was created for high school students at Pre-intermediate (A2), Intermediate (B1), Upper-intermediate (B2) and Advanced (C1) level. It is about the theme of Daily routines.